Compact Wilger Combo Rate II Side Take Off Turrets. Introducing the most compact Compo-Rate ever! 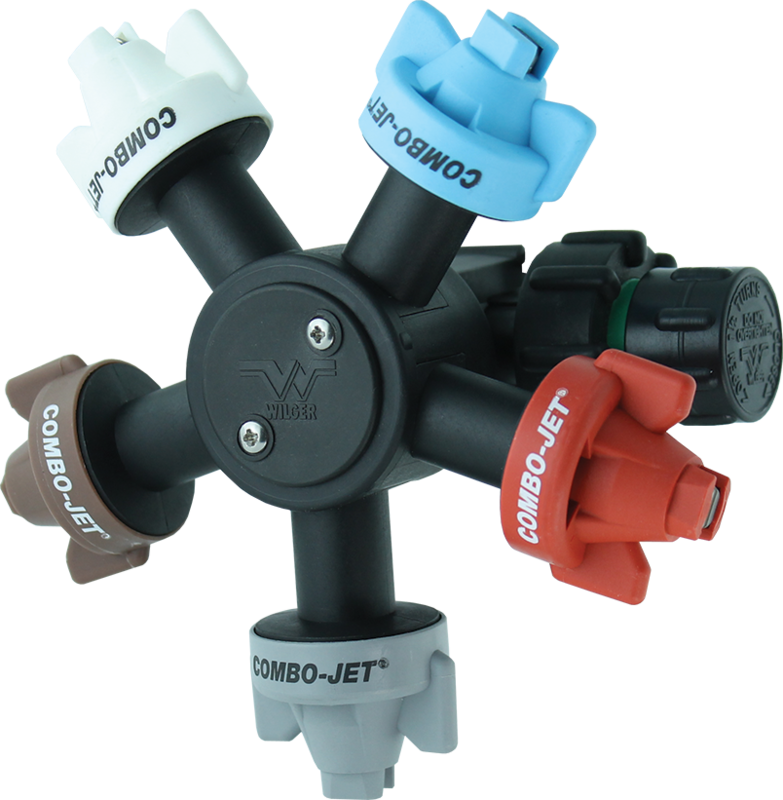 This innovative new Combo-Rate Turret has been designed to improve flexibility when installed on any Combo-Rate nozzle body. It is more compact than ever and it’s only available at Spray Nozzle Engineering. Less weight leverages off the boom pipe. Extra prevention of snagged components. Reversible design adapts to interference with boom structure and fittings. Reversible to a LEFT/RIGHT version in seconds. Compatible with any Combo-Rate Nozzle Bodies.